Expand your business opportunities by joining forces with us! Partners are at the forefront of our growth strategy. Our goal is to achieve outstanding results for our customers together with our partners. Our partners stand out for their professionalism, customer centricity and in-depth knowledge of their respective domains. If you are a system integrator, independent software vendor, a consulting company or an expert with a proven network in your industry or geography, ACTICO invites you to explore one of our partnership options. ACT21 Softwares specializes in financial services as an IT services and consulting firm. With expertise and technical know-how, the company works for the sustainable value creation of its well-known customers. AMETRAS Informatik AG offers companies customized solutions for various industries such as Business Intelligence. They rely on a team of experts with industry knowledge. The Avaloq Group is a leading international fintech company. With its total banking solution, the Avaloq Banking Suite, and its integrated BPO services, Avaloq is the only independent financial services company that both develops and operates its software. The AWS Partner Network (APN) is a global user program of Amazon Web Services, the leading international cloud computing provider. Successful AWS-based businesses are supported by business and technical assistance and sales and marketing support. The Business Solution Group is a Swiss IT services company that supports its clients in the area of ​​investment suitability and the implementation of regulatory requirements in “internal business rules” using ACTICO Rules. Decision Management Solutions helps organizations make data-driven decisions by using analytics, business rules, and related technologies based on the Decision Model and Notation (DMN) standard. The Korean FK Business Consulting Group (FKBCG) provides solutions and services in the areas of strategy consulting, risk management, statistical models and IT consulting within the finance and insurance industry. As an experienced technology partner, GFT Technologies SE (GFT) is driving forward the digital transformation of the financial industry. World-leading financial institutions rely on in-depth industry knowledge and bespoke IT solutions – from the banking app and trading systems to platform implementation and maintenance, to the modernization of core banking systems. Linko is considered to be the creator of the concept and methodology of Business to eXperiences (B2X), which operates in eight of the 20 most important Mexican banking institutions such as Banco Azteca was implemented. MATERNA is an international IT service provider for digitization and delivers tailor-made technologies for agile, flexible and secure IT. MCB Consulting Services Ltd (MCBCS) offers a wide range of solutions for financial service providers and non-financial service providers. MCBCS relies on proven expertise and experience to deliver successful solutions and guide customers through the transformation process and beyond. Orbium helps banks and asset managers focus on the essentials through the effective combination of management and technology consulting with software products and strong partnerships: your own success. With more than 27 years in the marketplace, Profile Software continues to develop and deliver innovative software platforms for the Banking and Investment Management industry. As an independent consulting firm, S + D specializes in business rules and convinces customers with extensive project experience, the proven S + D procedural model and in-depth expertise in technical and technical topics. Synpulse is an international consultancy in the field of management consulting and offers its customers compliance solutions based on ACTICO products, which are aimed in particular at client and product suitability in the context of consulting processes. 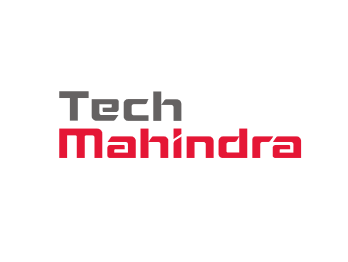 Tech Mahindra is a multinational provider of information technology, networking and business process outsourcing (BPO) solutions for a variety of industries. The company serves over 935 global clients with more than 121,840 employees in 90 countries. Headquartered in Singapore, Thakral One is a technology consulting and services company with presence in 15 markets in Asia and the Middle East. The company focuses on core business applications, banking solutions, digital technologies and data analytics. Trisilco IT supports clients with compliance, regulatory, business rules and processes IT solutions, with a focus on leveraging ACTICO’s credit approval and lending regulatory technology. Co-create software solutions based on ACTICO Platform to serve your clients across a wide variety of functional areas. Combine your domain expertise and geographical context with our proven automation technology to design custom solutions and bring them to market. Become a part of our extensive network to increase the penetration of ACTICO products and solutions in your geography. We offer attractive business models, high quality sales & marketing support and best-in-class training on our technology in order to enable mutual business growth. Commitment and investment in our partner network truly benefit joint customers. ACTICO provides you with everything you need to successfully start your projects and provide your customers with solid value. You would like to become a partner of ACTICO? Please send us your contact information.